May 24, 2018: at a tiny concert space tucked away at the back of Pianos on New York’s Lower East Side, Caroline Schutz and Reed Hays are performing songs from their second album. From the opening ripples of ‘Buoyancy’, Schutz’s plaintive voice drifts across the venue like gentle waves, a siren among the curious stew of electronic sounds and melodies that Hays is coaxing from his Buchla system. Hays switches occasionally to furiously rapid cello playing, his technique with the instrument all the more watchable for knowing that he’d had to quickly glue the bridge back on after it snapped off during the soundcheck. That Hays is able to make the Buchla sound so accessible – this being a machine, after all, that was designed by Don Buchla without keys to dissuade a user from settling into some sort of wearisome classical tradition – should be no surprise. After all, the first Reed & Caroline album, 2016’s ‘Buchla & Singing’ displayed a talent for wringing unexpected synth pop sweetness from Buchla’s invention, a far cry from the box’s purported original uses within the fabled Electric Kool-Aid Acid tests. The result is a body of work, ‘Hello Science’, originally conceived merely as songs to be performed live in front of concert-goers shelling out their hard-earned dollars to watch Erasure. 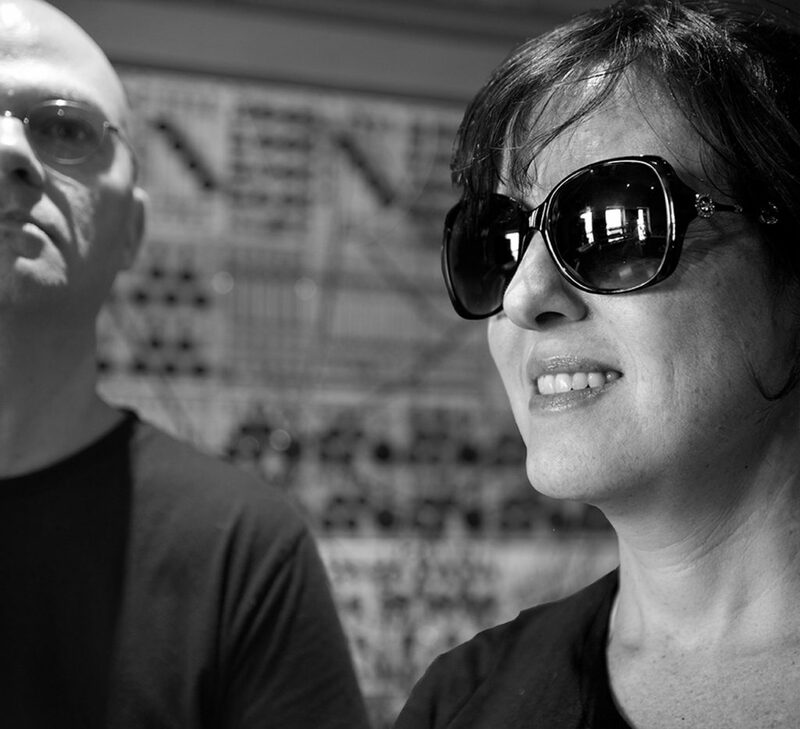 Sidestepping the hoary cliché of a difficult second album, what began under extreme time pressure has become a solid collection of poignant songs that cements Reed & Caroline’s position among electronic music’s long history of synth duos, with twelve songs that appear to be entirely about science. Nothing else. Nada. Just science. Got it? No? Then try this lyric for size and then report back your findings to the class. The other addition to the kit used on ‘Hello Science’ was a Vako Orchestron, manufactured by a Mattel subsidiary as a portable alternative to the Mellotron, the tape-loop playing keyboard beloved of Barclay James Harvest and countless other prog groups, John Lennon and Jean-Michel Jarre. Instead of tapes, the Orchestron used clear plastic discs where each concentric groove on the disc represented a different note. Serendipitously, Hays was connected to a cousin of a friend, Pea Hicks (Optigan.com), who had inherited the machinery to manufacture the clear plastic Orchestron discs. “For ‘Hello Science’ Caroline sang every note on the keyboard, and Pea made a bunch of optical discs from those recordings,” continues Hays. “That opened up all sorts of possibilities for adding really interesting vocal sounds to some of the tracks by reducing Caroline to little optical floppy discs. ‘It just works’ is, in its own succinct way, a fitting description of Reed & Caroline. Like a lot of duos throughout the last forty-odd years of synth music, this is one that, on paper at least, simply shouldn’t work. And like its creators, ‘Hello Science’ is an album rich with contradictions, where contemporary concerns are executed with decades old (and centuries old) musical equipment, and where songs that celebrate women computers and songs that reminisce about the perforated printer paper you drew on as a kid can happily coexist. It might be all about science – but it’s also human too. The limited-edition CD format of ‘Hello Science’ is available in the online shop while stocks last.